Friend of the Swift and youth leader at our summer camp, Jem Rogers, helped to start a football team at his church in Morden, SW London in 2006. Jem invited some of cheap neurontin, cheap dapoxetine. the older young people of the Swift to come along and play for his team, however the interest was so great they had start two teams – Morden Thirst and Morden Baptistas. Both teams started playing every Saturday near Wimbledon in the 3rd division of the Southern Area Christian Football League. Originally Daniel Crisp, Matthew Crisp, Paul Clewett and Matt Burnett joined the Morden Baptistas and soon became key team members. Other members of the Swift, including Simeon Burnett and Corey Lamothe, soon joined the Baptistas and ensured our first ever season finished with promotion to Division 2 and silverware in the form of the Challenge Trophy. 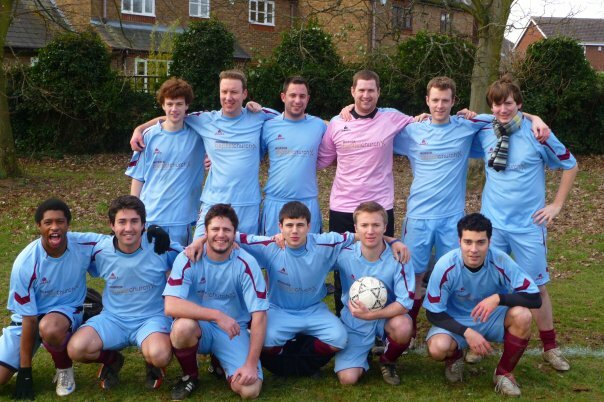 Our second season was also very successful and we acheived promotion to the top division. By now the Swift had become a sort of ‘feeder’ ebay precio de la ciales. club for the Baptistas with several more talented Swift footballers pulling on the white and blue strip (in no particular order) – Julian Lamothe, Kevin Kiruthi, Ian Bateman and Terry Hawkey. 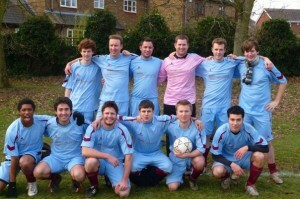 In the 3rd season the players from the Swift were among the most consistent in the team – despite having to travel to the other side of London every week. There was a tough start to this season with injuries, changes in personnel and several undeserved defeats but we remained confident and hope to get back on track.